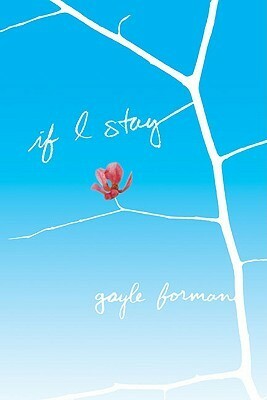 If I Stay | What YA Reading? Mia had everything: a loving family, a gorgeous, adoring boyfriend, and a bright future full of music and full of choices. Then, in an instant, almost all of that is taken from her. Caught between life and death, between a happy past and an unknowable future, Mia spends one critical day contemplating the only decision she has left–the most important decision she’ll ever make. There are two kinds of books about death: the sad ones, and the ones that stay with you. I say this only because you can’t write a proper book about death with showing how bittersweet it is; it’s more than sadness, it’s more than melodrama. It’s heartwarming memories and people getting together to remember a beautiful person. Or, in Mia’s case, it’s a question: should she stay? Although the whole of If I Stay leads up to Mia’s answer, I never did predict it. All I can say on the subject is that my heart melted— especially after reading the first chapter of the sequel, enclosed in the last pages of my copy. I am not a particularly musical person. Sure, I couldn’t live without my iPod, but other than that? Meh. Gayle Forman made me forget that. For a few days, I knew Jonathan Richman, love(d) Blondie, and breathed Yo-Yo Ma. It’s not often that I’m able to completely immerse myself into a world–this being a contemporary completely centered on music– but I appreciate it. It’s not so much Mia, in all of her honesty and quietness, that I fell in love with, but her family. And when I say ‘family’, I don’t just mean her old school punk father and rocker chick mother, I mean all of If I Stay‘s supporting cast. The battleaxe nurses, besties with zero tolerance for BS and soulful boyfriends were just as much Mia’s family as anyone she lived with, as Kim so heartrendingly pointed out. My favourite character was actually Mia’s Gramps; he did not remind me of my own in anyway, but I loved him nonetheless. It didn’t start out so smoothly with Adam and me. I think I had this notion that love conquers all. […] In books and movies, the stories always end when the two people finally have their romantic kiss. The happily-ever-after part is just assumed. Adam and Mia’s relationship was not smooth in any way of the word, but it was realistic and refreshing. I needed that. If I Stay is not a classic tear-jerker, but I did become choked up on more than one occasion. I recommend this book to you if you’re not afraid of crying in public places, if you would like to be musically enlightened, or if you feel the desperate need to be confronted with a reality check. 4.7/5 stars. 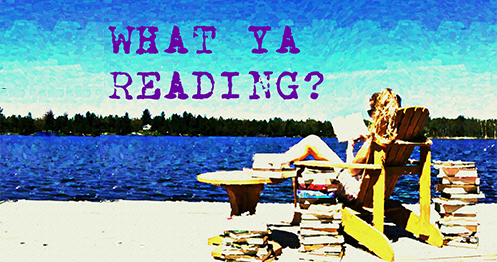 Pingback: Before I Die | What YA Reading?